Whether you need a routine dental exam or are interested in restorative care, your first visit to a new dentist will follow the same pattern. Giving your medical information and taking dental x-rays are crucial to a successful first visit. Read on for more of what you can expect with a new dentist. Whenever you visit a new dentist, you will give a list of your previous and current medications and medical concerns. This information, along with a list of allergies and conditions, is necessary to give your dentist and his staff the full picture of your medical and dental health. By having your current and past information, your new dentist can approach your dental exam with a better picture and deliver you comprehensive care. In addition to your current and past medical and dental history, a new dentist must see the current state of your teeth and gums. 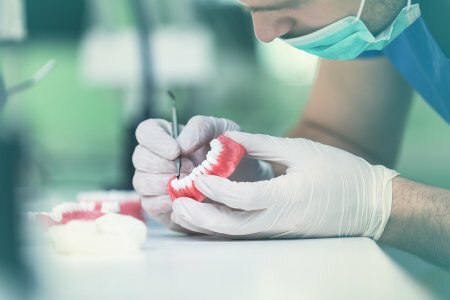 A dental technician will take a variety of dental x-rays of your mouth, which will show how your teeth are growing and if there is any decay present on the surface of your teeth. The technician will also take pictures of the surfaces of your teeth and the inside of your mouth. These photos give the dentist a better view of the condition of your teeth and gums. The dentist will review your medical information, as well as the x-rays, and come in to do his examination. Depending on your concern, the dentist may perform a comprehensive or limited exam. Following the exam, you may choose to have a professional teeth cleaning, which will remove plaque and tartar from your teeth. 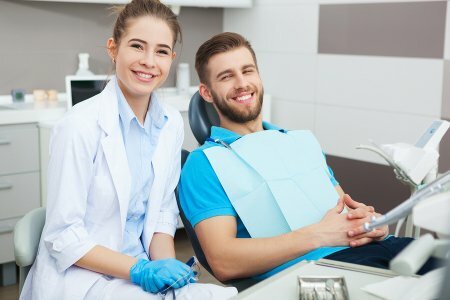 Once the dentist has completed the dental exam, he will advise you on a course of action, and you can make future appointments with the office staff. Come down to Glenwood Premier Dental for your dental exams in Hazlet. Our office is comfortable and inviting to everyone, no matter their dental concerns. Please call us at (732) 264-4477 to schedule your first appointment with us .